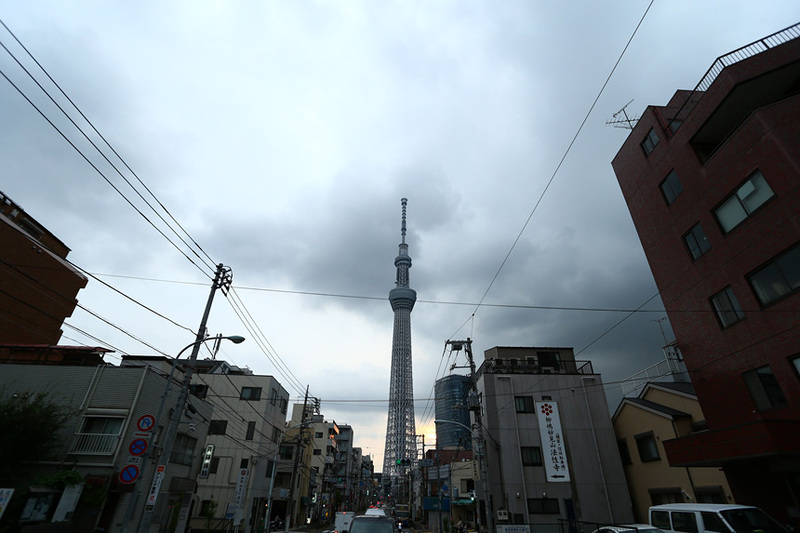 Tokyo Skytree Stage - Master of Torque - Motorcycles | YAMAHA MOTOR CO., LTD. 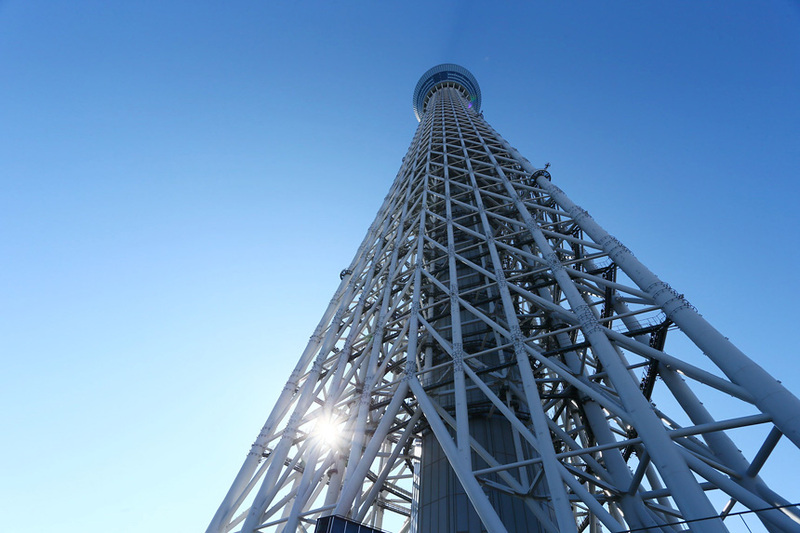 In short: The structure’s official name is “Tokyo Skytree.” In ancient times, the land area comprising Tokyo was once part of Musashi Province, which corresponds with the Skytree’s total height of 634 meters (in Japanese, musashi is a linking of the sounds for the numbers 6, 3 and 4). 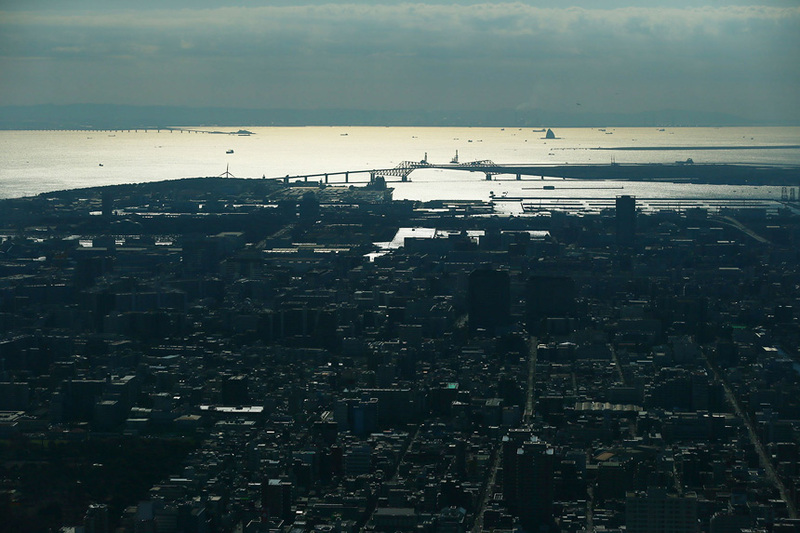 It’s Japan’s tallest structure and is also listed in the Guinness Book of World Records™ as the world’s tallest tower. 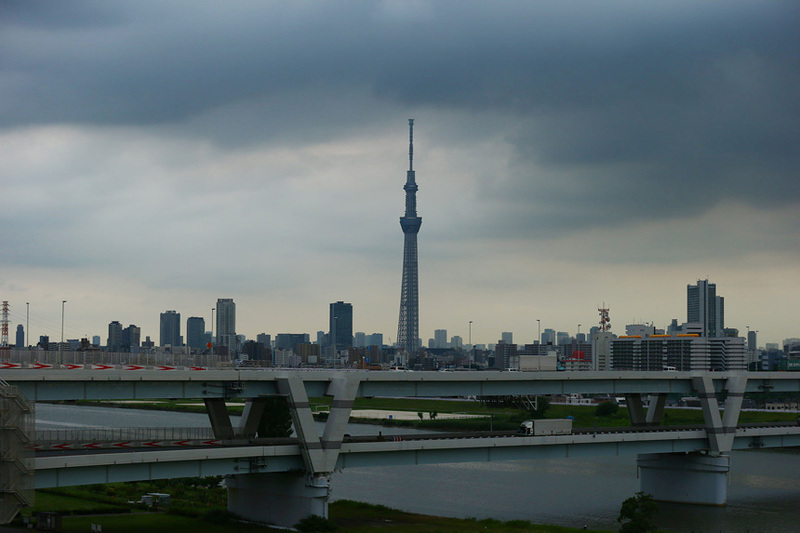 Its rounded steel pipes beautifully connect to suggest the branches of a tree while the tower stretches into the sky employing sori (“concave curves”) and mukuri (“convex curves”) shapes found in Japanese katana samurai swords and traditional architecture—hence its name of “Skytree.” Read more It lies near famous spots along the Sumida River for viewing sakura trees in full bloom during the spring, and the river is referenced in a song frequently hummed in springtime by Japanese people. 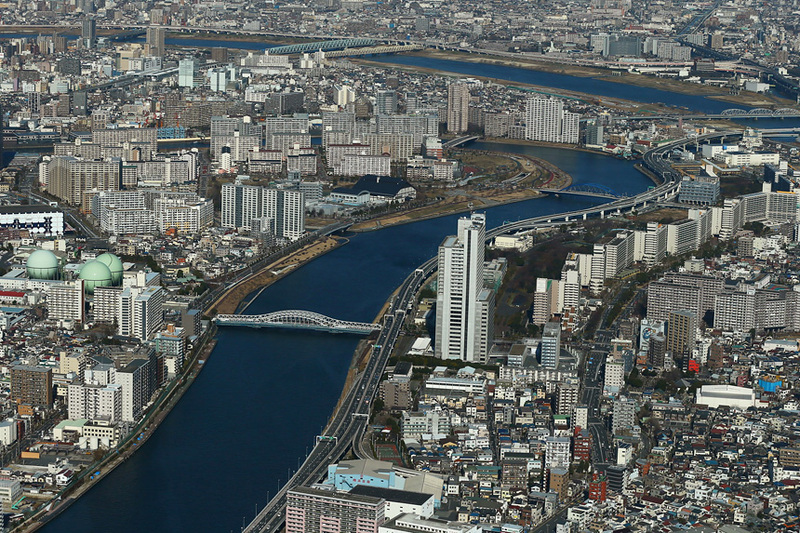 On the other side of the river from the Skytree is Asakusa, long the number one shopping and entertainment district in Tokyo’s (Edo’s) over-1,000 year history. 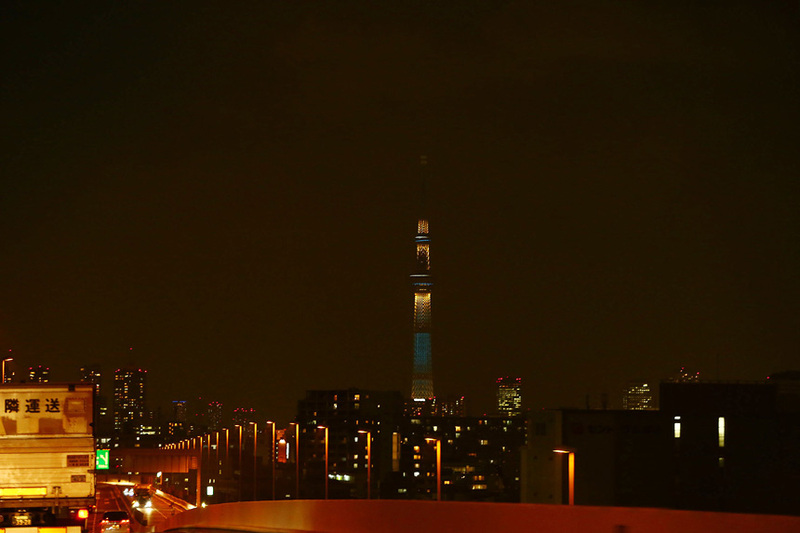 When night arrives, the tower’s LED illumination begins and showers those enjoying the view from the streets or the river below with impressive colored light displays—named iki (pale blue) and miyabi (purple)—that are steeped in Japanese aesthetics. 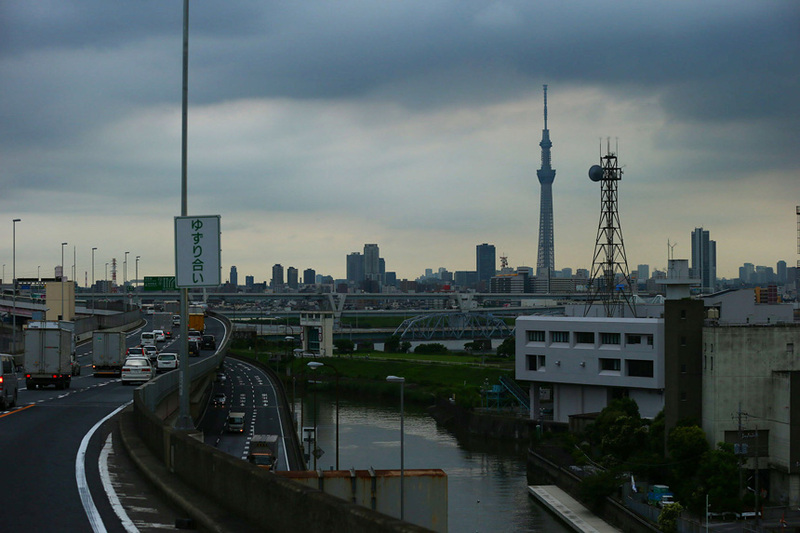 Also, the presence of the Tokyo Skytree by the Sumida River has added new spice to the massive fireworks displays that are held by the river—said to be the best in the Kanto Plain. 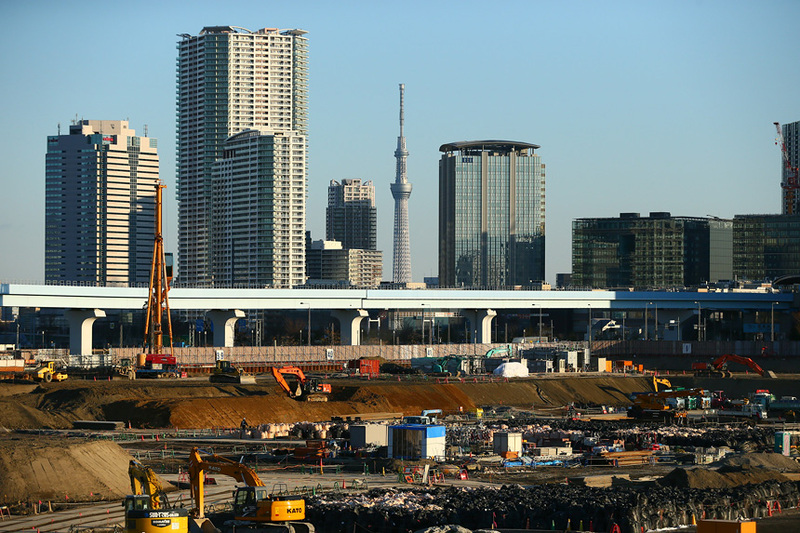 Some background: The site for construction of the new tower was decided in March 2006 and its name of “Tokyo Skytree” was chosen from among suggestions made by the public in June 2008, a month before construction began. 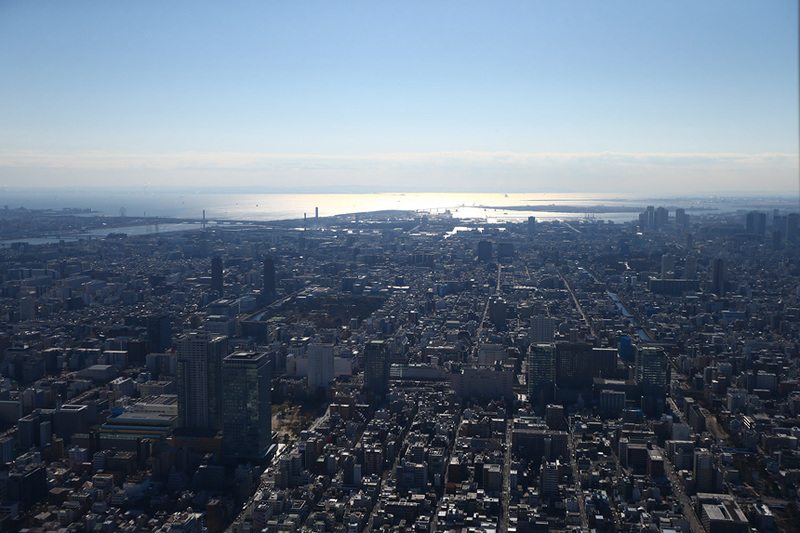 About a year and a half later in March 2010, it surpassed Tokyo Tower to become Japan’s tallest structure and was recognized as the world’s tallest tower upon passing 600 meters in height on March 1, 2011. 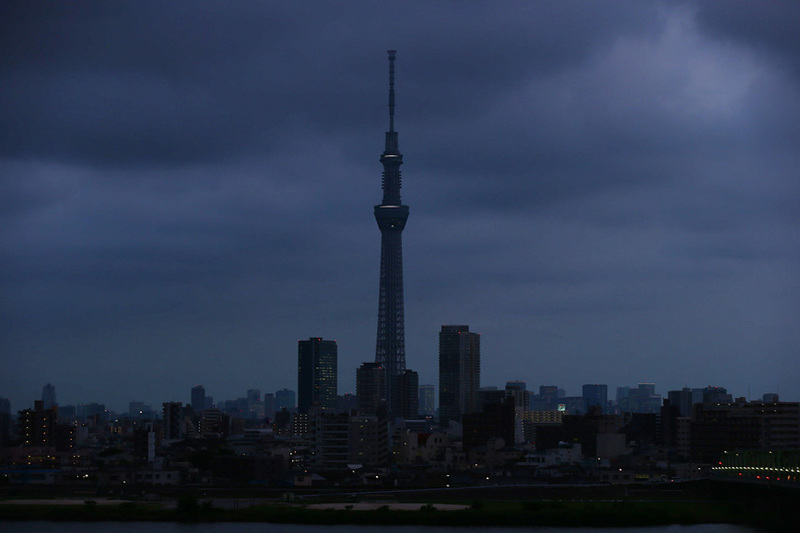 Read more A mere 10 days later, the tower was tested by the worst of circumstances: severe tectonic motion from the Great East Japan Earthquake violently shook the tower. 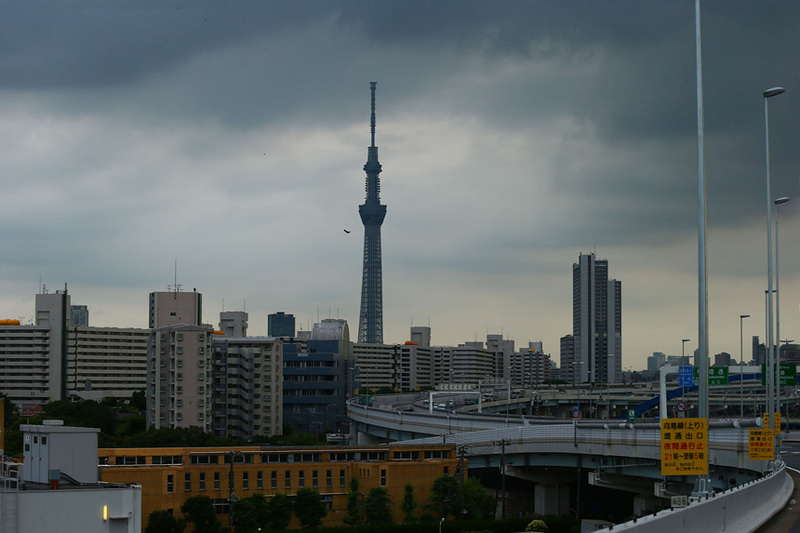 Despite its distance from the epicenter of the quake, Tokyo experienced massive tremors (in the upper range of “5” on Japan’s seismic intensity scale) and everybody who had been enjoying the daily announcements of construction progress and looking forward to the upcoming opening of the world’s tallest tower were surely worried that the still uncompleted structure might be unable to withstand the effects undamaged...but it did and none of the workers on shift when the tremors struck were injured. 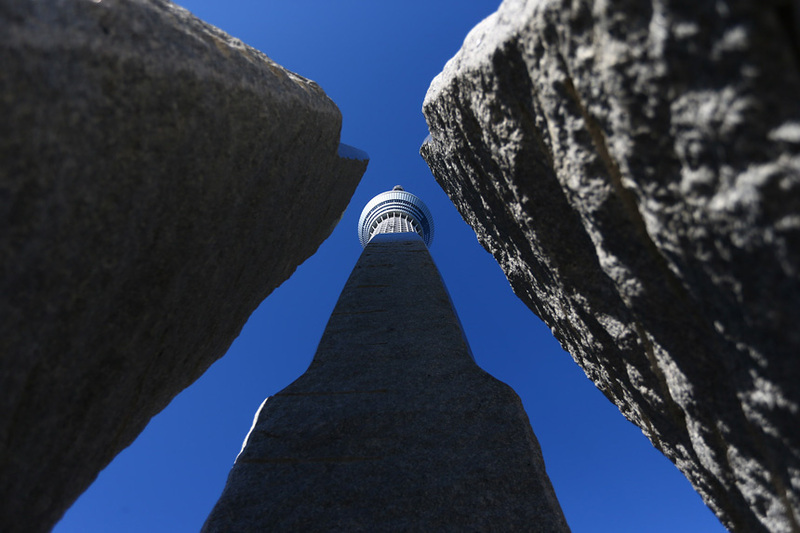 A week later on March 18, the Skytree reached its final height of 634 meters and the announcement gave people all over the country a shared message of courage to overcome the disaster that had befallen eastern Japan. 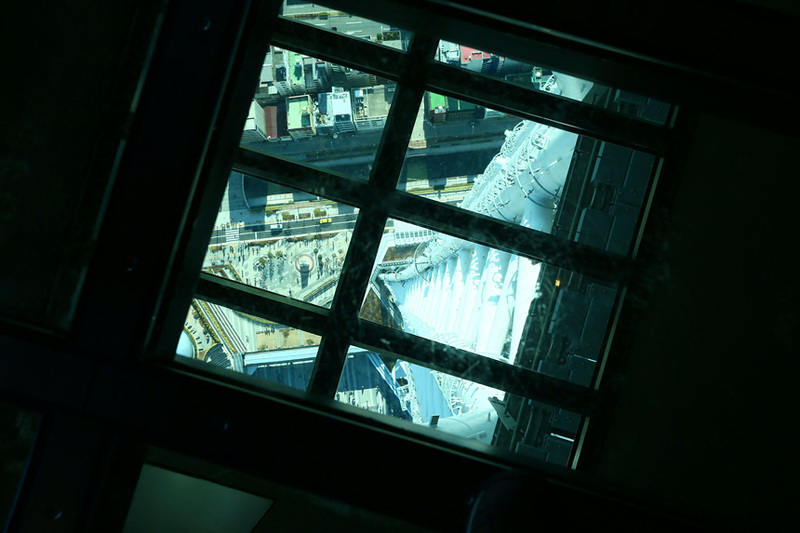 Construction was finished on February 29, 2012 and the tower’s lights were lit up on March 11 to mourn the victims of the disaster. 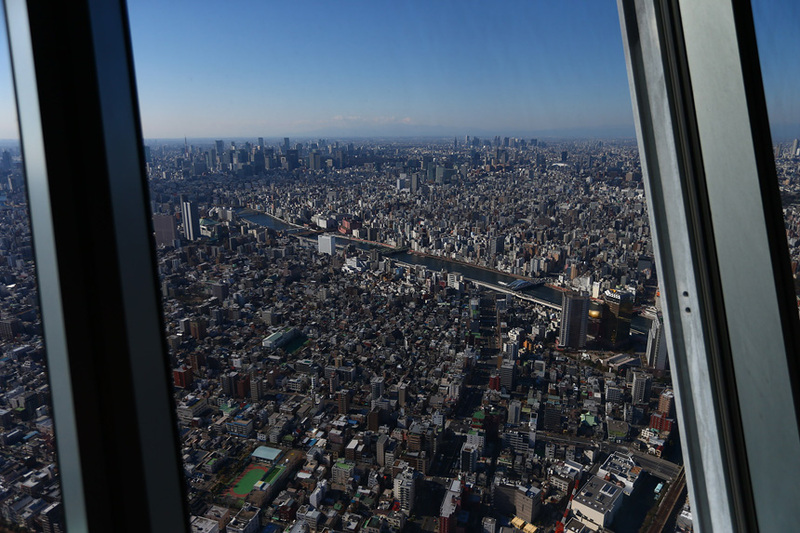 In May 2013, just a year after opening to the public, the number of visitors to its observation decks had already reached 6.34 million (a milestone echoing the tower’s height). 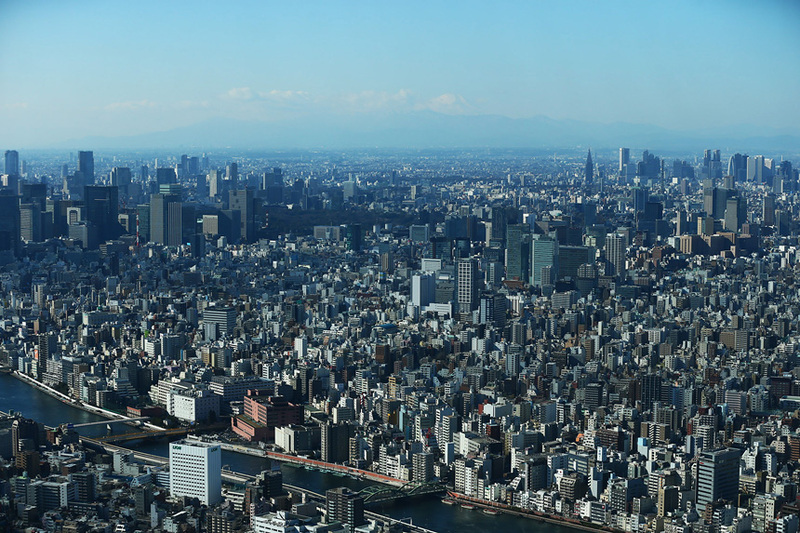 The tower’s broadcasting operations include NHK and the seven major commercial broadcasting companies in Tokyo.